In this hour long show, Warsi talks about growing up with Pakistani immigrant parents, balancing culture with religion, and having hope in times of uncertainty. An unexpectedly serious and funny story of growing up as a first generation American Muslim. Syed Umar Warsi is a spoken word artist, motivational speaker, and entrepreneur. He was born in the hustlin bustlin city of New York, and abruptly moved to a quiet suburb of Illinois. He shares his experiences growing up in the two very different environments with conservative immigrant parents from Pakistan. How did he try to meet the expectations of his parents and deal with the pressures of public school? What was it like being in 6th grade when 9/11 happened? How did his experience growing up influence his Muslim faith? 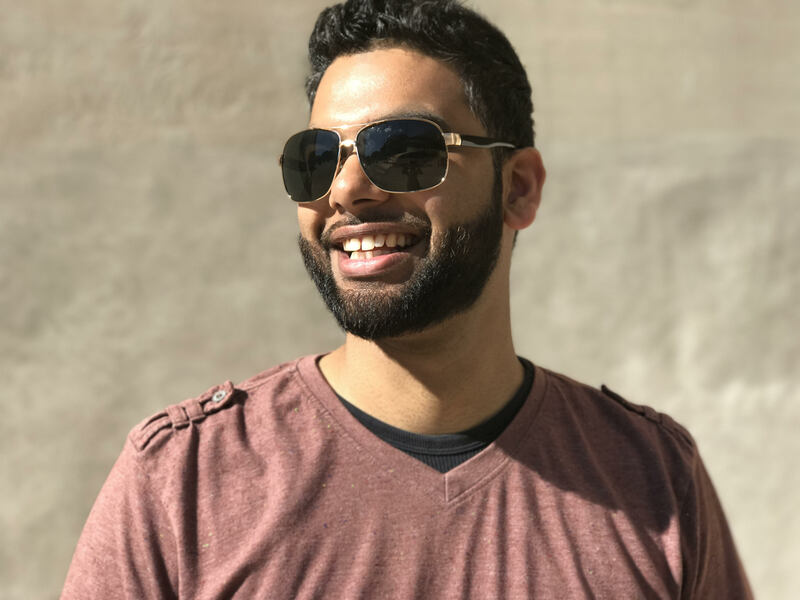 Syed’s spoken word poems and story telling talent will take you on a roller coaster of emotions, excitement, and empathy. Syed went from public school to a college preparatory school where he struggled to keep his grades up. He dropped out of high school while in the tenth grade. When Syed turned 19, he finally earned his GED and got admitted to a community college. Transferring to a four-year university didn’t last long, as he was academically dismissed in his junior year. Syed fought his way back to obtain a bachelor’s degree in social services and now holds an MBA from Indiana University. You can’t rely solely on yourself. I needed others to believe in me so that I could overcome my failures.